Vancouverites love their brunch. Now you can brunch while supporting a very worthy cause. The Qmunity space on Davie St has seen many changes throughout the years, but one thing is for sure: It has been a staple of the Village, supporting the community and offering an open door and a listening ear to anyone who needs their help. 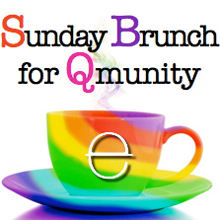 The first annual brunch for Qmunity will take place at Ensemble Tap this Sunday April 29. Chef Dale MacKay, together with Executive Chef Brad Hendrickson will be onsite, creating delicious brunch entrees, and 25% of those proceeds will go to Qmunity. Tickets are $25 (must be purchased in advance online) and it includes your choice of one of three signature brunch entrees, a fresh-squeezed mimosa, coffee, door prizes and live entertainment. Doors open at 11am, with brunch starting at noon and going on until 3pm. QMUNITY is a leading provincial resource centre offering community services and programs that celebrate, support and enhance the diverse cultures of queer communities. They offer their resources in a welcoming, accessible, and safe space that is relevant to the communities they serve. their services and programs support healthy and active living, provide leadership, increase awareness, advocate where needed, and promote arts and culture. This is not the first time that Chef MacKay has shown his support for the gay community in Vancouver. Last year, he opened up his restaurant Ensemble for Stack the Rack to great success. Seating is limited to 130 so order your tickets early and not be disappointed. Click here for tickets.